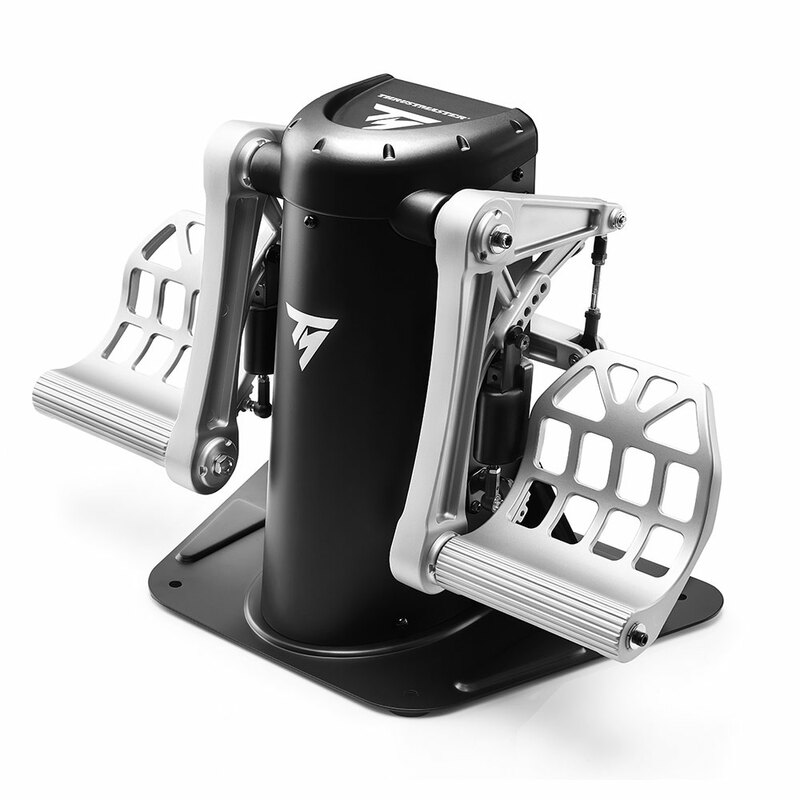 Informations sur le produit "TPR: Thrustmaster Pendular Rudder"
Revolutionary pro flight sim rudders with PENDULAR technology (TM Technology PENDUL_R ™) for ultimate precision & smoothness. 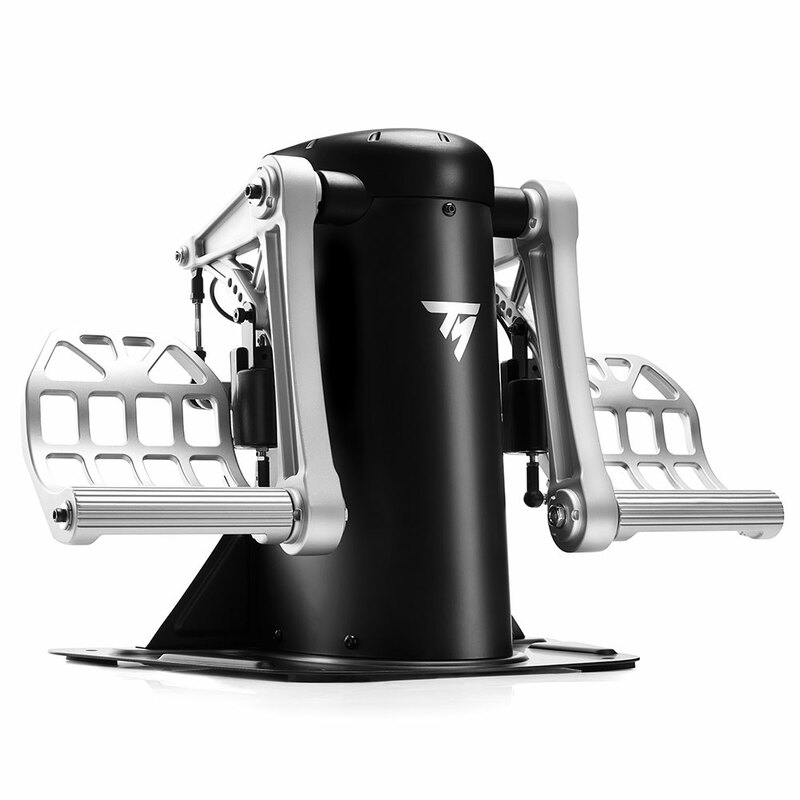 The Thrustmaster Pendular Rudder features a unique suspended mechanism for smooth, fluid motion. Along with the 3D Hall effect magnetic sensors this mechanism allows for perfect precision for even the most minimal flight corrections. The magnets ensure ultra-precise, frictionless action, while two very precise differential brakes enable perfectly-proportioned braking. The magnetic sensors are based on H.E.A.R.T. 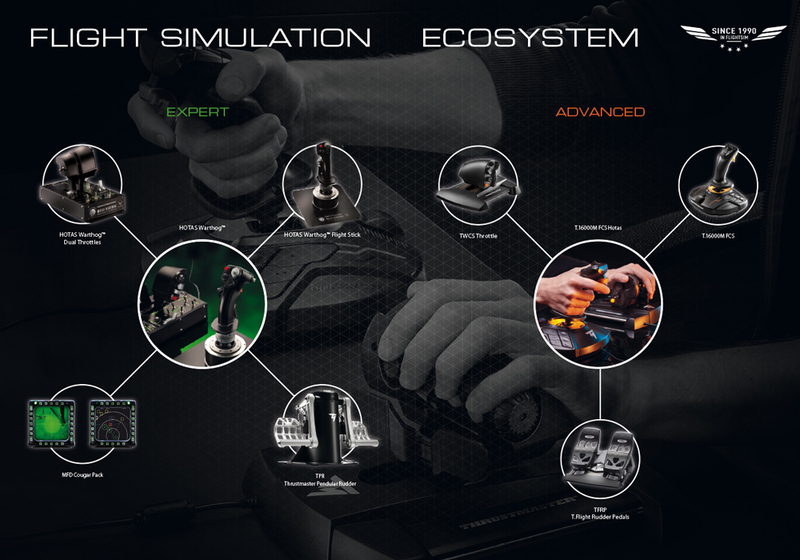 (HallEffect AccuRate Technology) technology developed by the designer of the HOTAS Warthog. 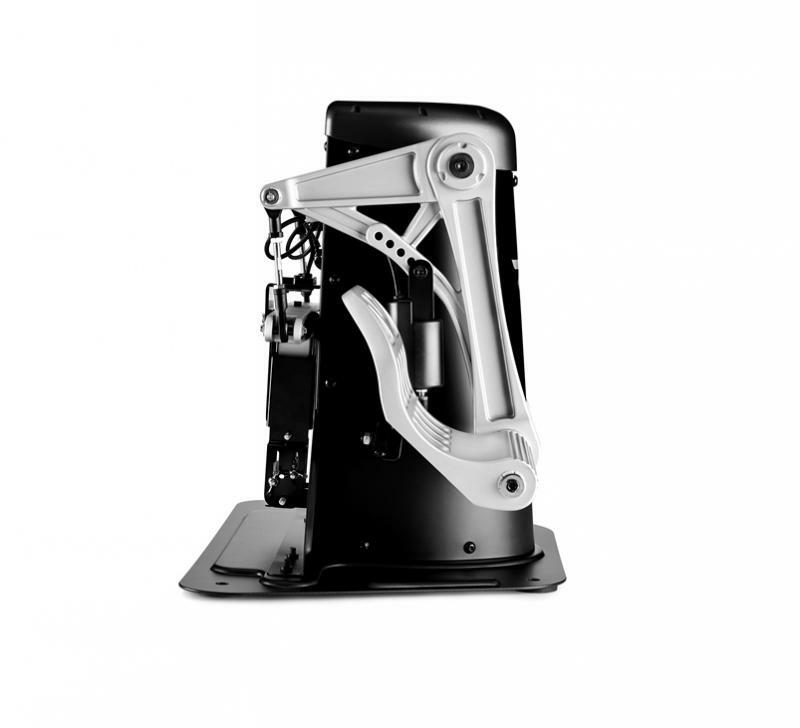 Its enormous flexibility makes the Pendular Rudder a perfect match for any kind of aircraft in all popular flight simulators. With the T.A.R.G.E.T. 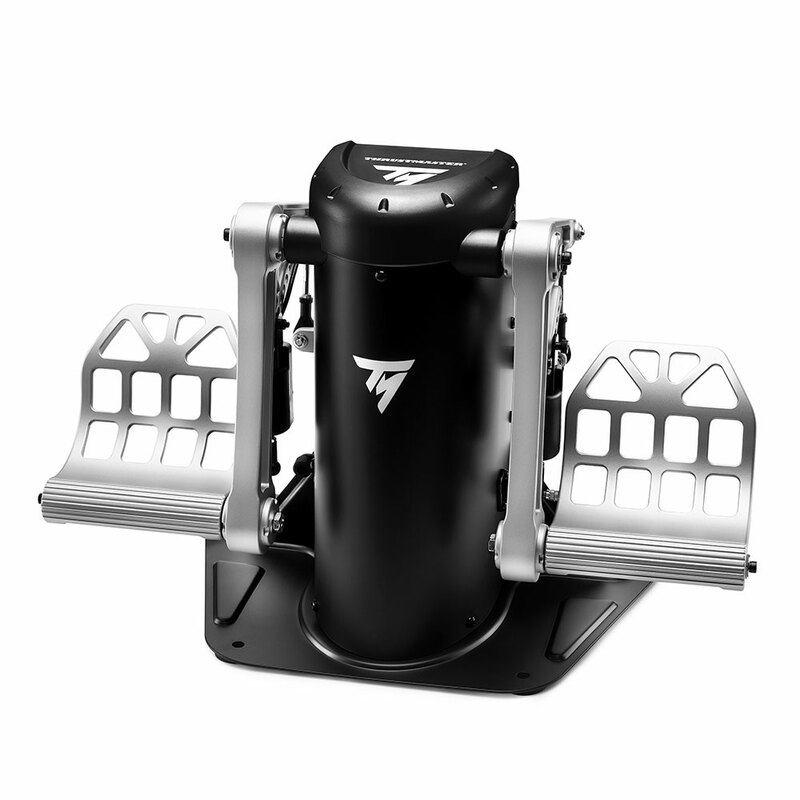 software each simulator can be assigned its own profile, and multiple Thrustmaster devices can be combined. 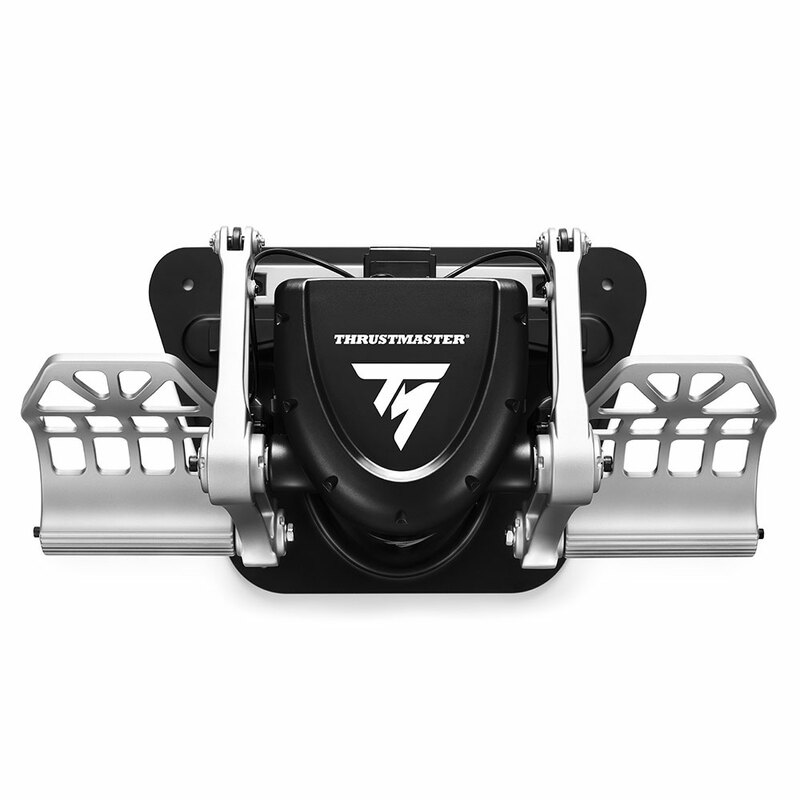 Thrustmaster Advanced pRogramming Graphical EdiTor software: combine your device with other Thrustmaster devices so that they are recognized as a single USB device, and load or create specific profiles for each game. 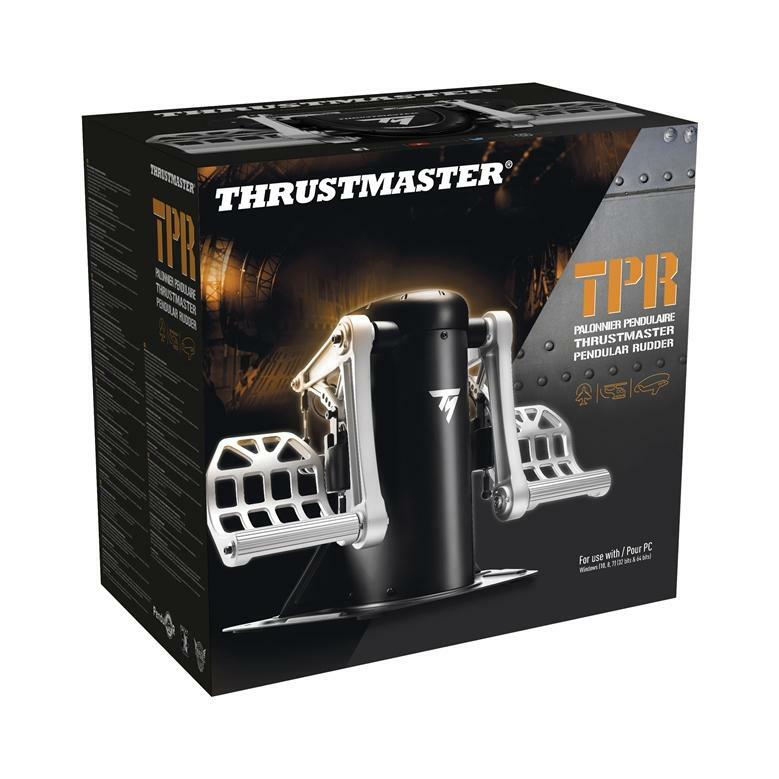 Liens supplémentaires vers "TPR: Thrustmaster Pendular Rudder"